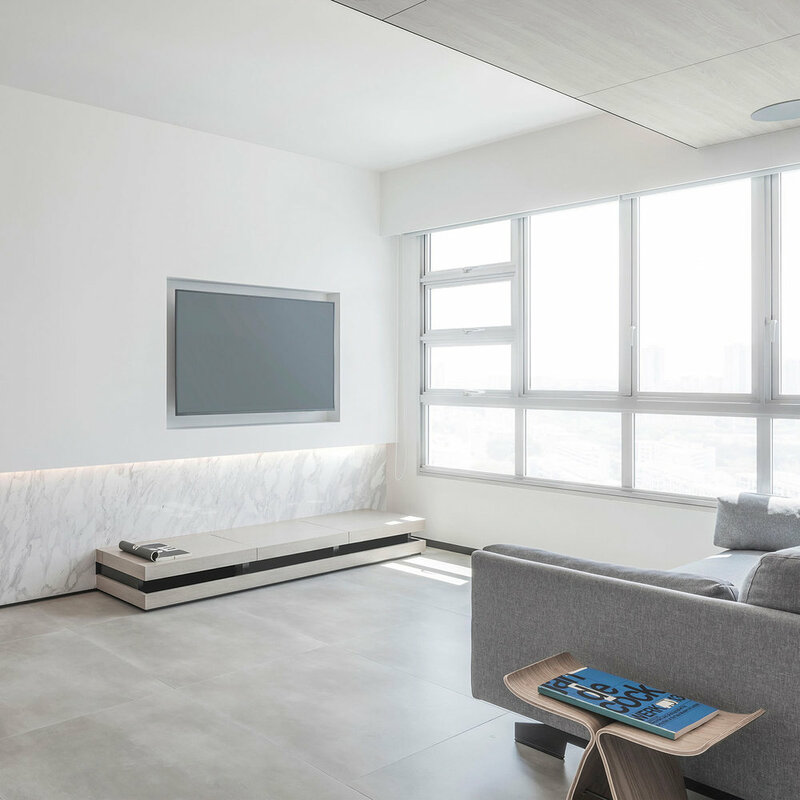 Interior design studio based in Singapore, Right Angle Studio have designed their latest, Residence L, by leveraging light and space to their fullest. The tranquil spatial dimension of this home provides a worthy canvas. The full-height wooden entrances provides an experience as you step within the home to witness the continuous white-finished walls that surround the living room areas. Creating a single module, the dining and kitchen areas have been bridged by a marble counter that has been designed to encourage movement and mobility. Continuing the seamless palette of white, greys and browns throughout the home which frame the Danish furniture. Right Angle Studio have been leading the charge since their creation working on projects that range from residential homes to commercial spaces. They provides an array of services such as interior design consultation, design direction, space planning and interior decoration.